Cerato has had a mid-life makeover . It was launched in the surrounds of NSW’s beautiful Hunter Valley. Read about it here. We liked it a lot. Since then, we drove the Si for the week and found the midrange model starting at $28,990 comfy and spacious and great to drive. It is as good as ever. nge in the way we choose and the way we drive. However, the biggest selling vehicle is a car which shares Cerato’s segment, the Toyota Corolla. Other hatches/sedans include the Ford Focus, VW Golf, Peugeot 308, Mazda 3 and Subaru Impreza to name but a few, and all offer something buyers crave, perceived value for money. We keep trying to define this for buyers, but buyers are far smarter now and demand to pay less, for more stuff. The only extra on the test car was metallic paint at $520, the rest was standard gear. Although the 2.0 multi point injection engine puts out a respectable 112kw/192Nm, the 6 speed auto races to as high a gear as it can manage which feels like it robs Cerato of much of its performance. You can wring more out of it by changing gears manually using the floor shifter. It is not too keen to kick down unless you mash your foot to the floor, but this gives you an economy figure of a very respectable 5.6 L/100k on the highway. 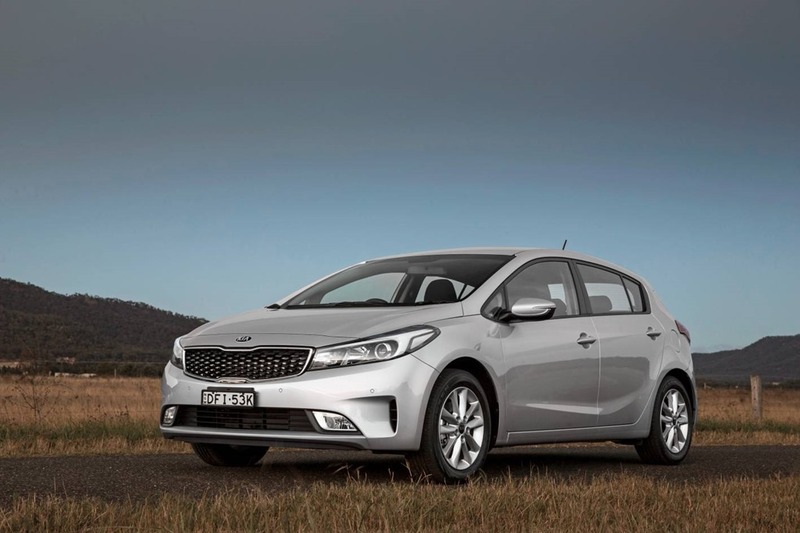 Kia sells Cerato as a spacious city car, and that’s what it is. But this Kia is equally at home on the open road. 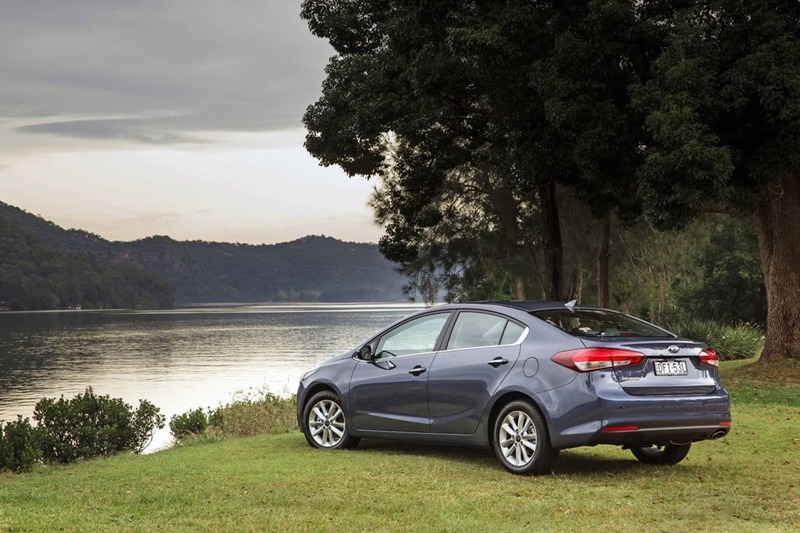 Like all Kias, Cerato is jammed full of value including lane departure and blind spot warning. The only thing missing from the range is Emergency Autonomous Braking. Lights front and back have a modern look with LED DTRL (daytime running lights) to accent the new grille. The top model gets HID headlights and LED taillights which look even better. The 17” wheels on the top model look amazing, but the ride on the 16” is what I’d rather have. The Euro-look is becoming more pronounced as time wears on. If you were to remove the badge I’m willing to bet punters would have no idea where Cerato was made, but might suggest Europe as a place to start looking. I’m a fan of hatchbacks over sedans, and there is a handle inside so that closing the hatch doesn’t get dirt on your hands. You can lower the seat backs to increase the luggage space vastly. The steering feels OK, but not as sharp as the opposition. There is a slightly isolated feeling which can be common on electric power steering. Modern power steering relies on electric motors which only use energy when actually turning the wheels. Local tuning also provides calibration for the computer that controls the steering. One thing we should all keep in mind is that any road feel we think can sense, is because of good tuning, but is artificial none the less. On the other hand, the ride is brilliant. 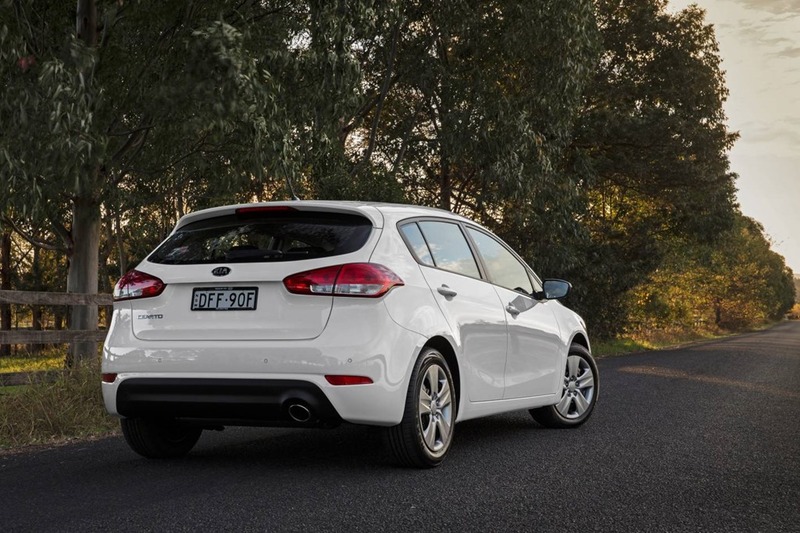 Only the choppiest of rubbish roads upsets Cerato. Although the rear torsion bar suspension isn’t as sophisticated as Golf or Astra, it copes extremely well with corners. Keep in mind a Cerato buyer will not be taking it on a track-day, a Sunday driver will still enjoy competent road manners. Pushing the Kia into corners keeps the nose pointed where it should go showing the local tuner really knows what he is doing. Graham Gamold has been doing Kia’s local suspension tuning for many years and explains that Koreans like a softer ride. They also like lighter steering more akin to American tastes. It is to our benefit that he is allowed almost free rein to make suitable for Australian roads and Australian tastes. 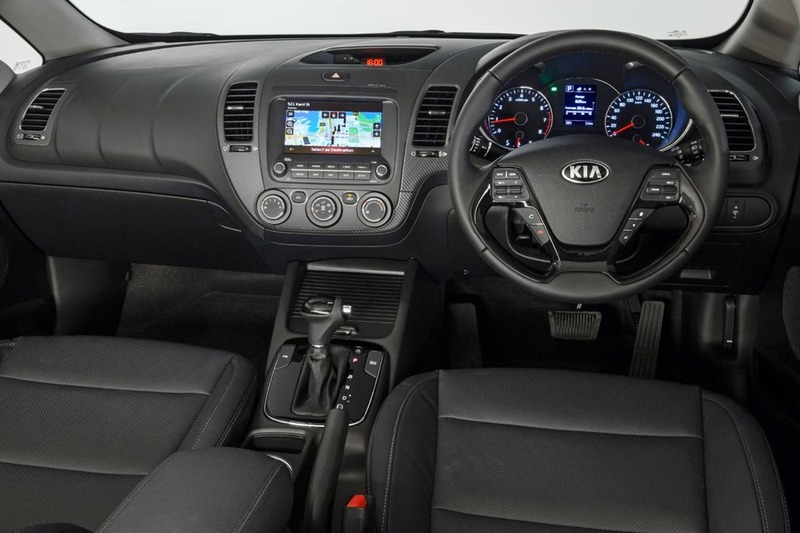 Kia Cerato has always been a great ride. The product people at Kia have shoe-horned a bunch of comfy essentials as well as the things buyers expect. Once only in posh Swedish cars, Blind Spot Monitoring is almost ubiquitous. The same goes for lane departure, and Lane Keep Assist. Many car makers have told me that buyers will not shell out for safety gear, but they do expect it to be present as standard. What buyers really want are things to make their lives easier, and more fun. To that end, Kia has Apple CarPlay which also gives them a place to display the reversing camera images. Those cameras are something no new car should be without. To aid the bumper-dent-free atmosphere, there is a nice set of sensors to make a perfect match for the camera. The beeps can be annoying but stick with it and you’ll find you can’t do without them. Less obvious, but no less handy is Hill Start Assist making handbrake starts a thing of the past even on the steepest of inclines. The system uses ABS to hold the brakes for a short while giving the driver plenty of time to start on even the steepest hill. Both manuals and automatics benefit from this peace of mind. The 6speed auto is smooth but only the top Cerato gets paddle shifters which is a bit of a shame. The seats are supportive with plenty of adjustment but I was never really as comfortable as I could be because the steering wheel hasn’t got quite enough adjustment. In order for my arms to be in the right spot, my legs feel cramped. It isn’t because of a lack of space, just a lack of adjustment. A shorter driver will not notice this. Switches and dials are easy to find and use without having to consult the printed oracle in the boite à gants. Cerato is an unpretentious, well packaged, sensible hatch that drives the way it looks. At low speeds, there is good vision with the reversing cameras and sensors making parking easier than ever. There is no automated parking option, yet. Cameras and sensors making parking in smaller places possible with virtually all the guesswork removed. 1stgear is fairly spritely in a transmission that changes up as quickly as possible. It can be annoying and is where I’d like paddles to do my own thing. The engine is sweet and spins freely but the Direct Injection models seems a little more willing. The torque and power feel as if there are on tap over a wider range of revs. On paper, my feelings are not supported. 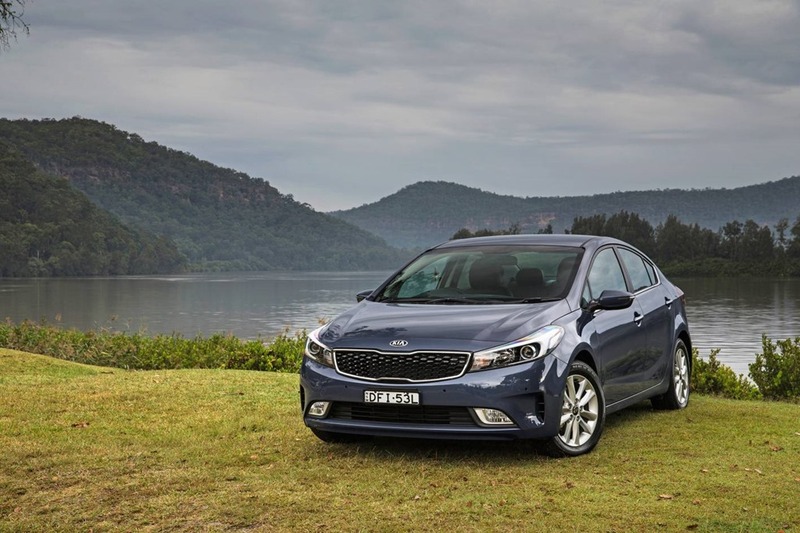 We took the Kia through the usual bends and turns, and a good section of highway, and I rapidly came to the conclusion that Kia sells the Cerato short. It is perfectly capable of traversing the state using minimal amounts of petrol as well as being at home in town. There is only one choice of engine, and the manual is only available on the entry level. Overtaking needs a little planning but there feels plenty of power delivery for sprints should they be needed. 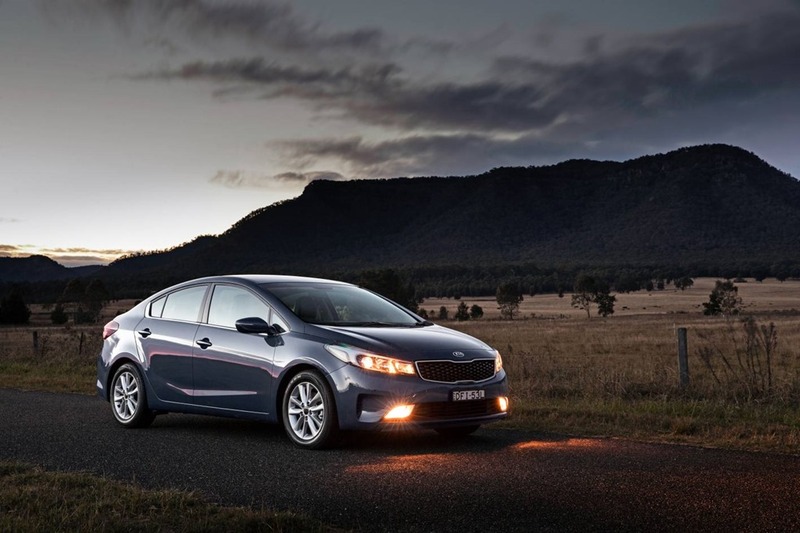 We’ve always liked the Kia Cerato. It’s a value-packed pleasure to drive backed with a 7-year warranty. The cabin is roomy and well laid out with comfortable seating. Our drive confirmed everything we thought about it during the first drive at the local launch. 21st century cars must be well equipped, good value, and “connected”. I don’t care what the expensive Europeans say, a modern car must have Apple CarPlay/Android, a reversing camera, and sensors, and it must be standard gear. It must also have all the goodies that make life safer, and Cerato does that. 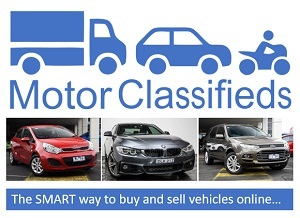 Buyers might also consider: Ford Focus, VW Golf, Holden Astra, Subaru Impreza, Toyota Corolla.